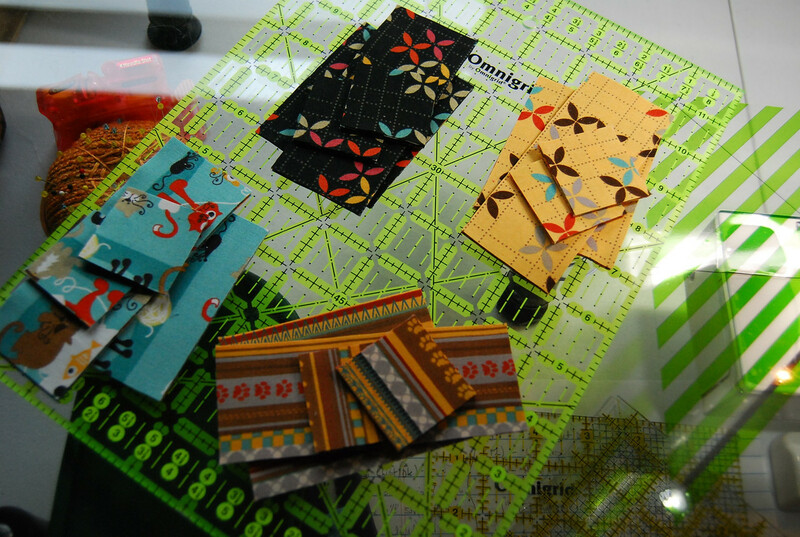 It's been awhile since I clued you all in on what I have been up to but rest assured all is well and I have been a busy beaver quilting away. Over Mother's Day I went to the Dallas Modern Quilt Guild's Spring retreat and convinced my daughter to fly in from New England to share the weekend with me. I loved every minute! 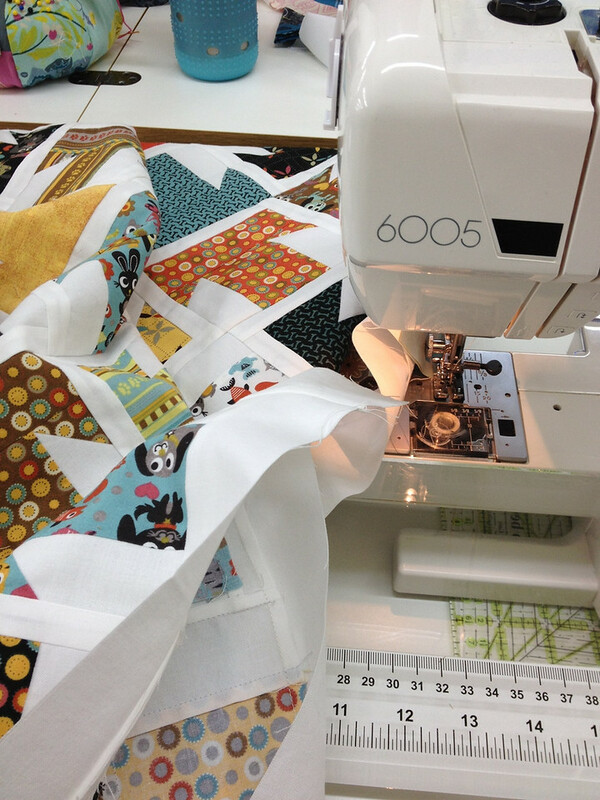 I'm very laid back and sometimes it's difficult for people to understand that I am so happy to take a week off of vacation and just stay home quilting. Spending the weekend with like minded people is the great allure of retreats. 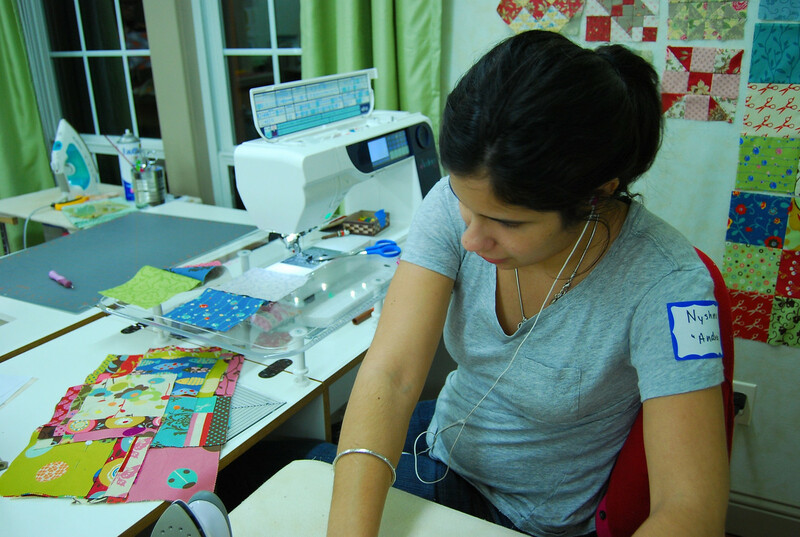 You pack up your bags and head out for a weekend of sewing and sewing and sewing. It's a beautiful thing. 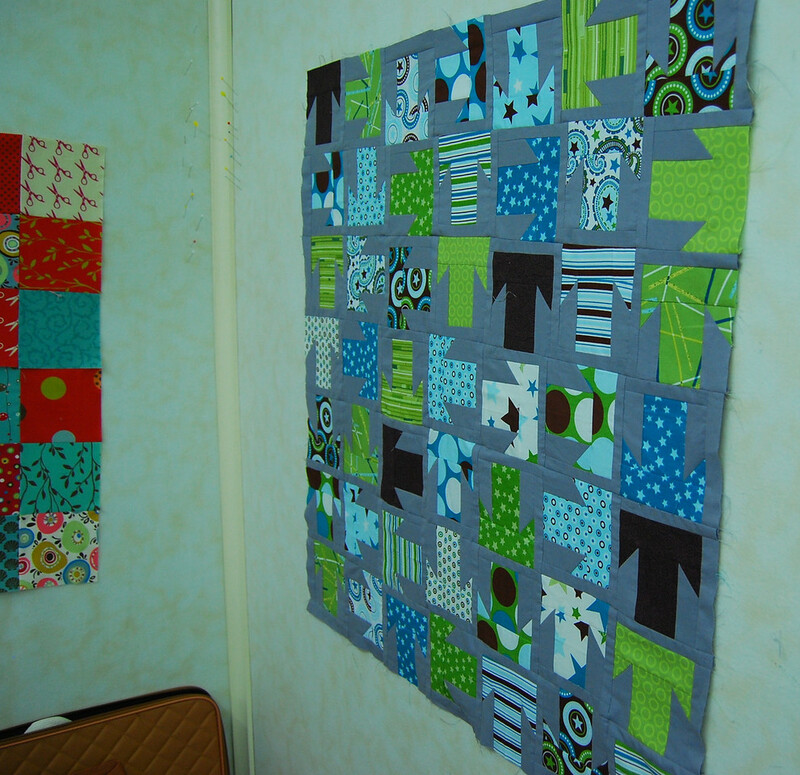 While I was there, I tackled my Bibelot quilt. but I had not put the borders on. 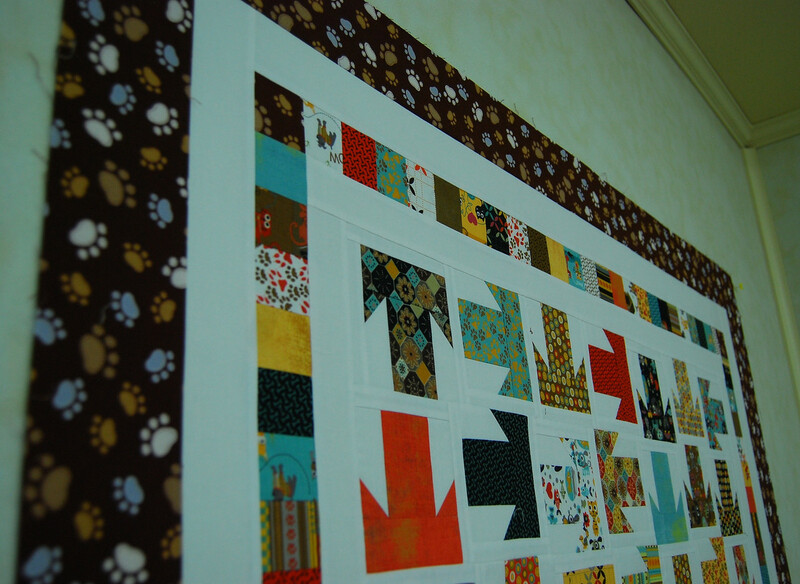 I wanted to add a few more borders to enlarge it since it will be a present so I found this little puppy paw print fabric that complimented the Max & Whiskers line used in the blocks. 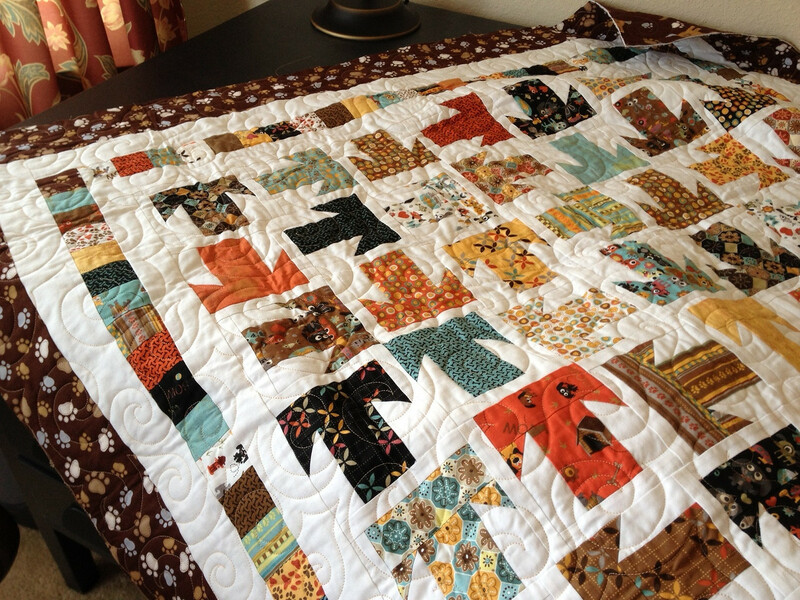 I just got it back from the quilter's. I just need to put on the binding and it's ready for it's forever home. 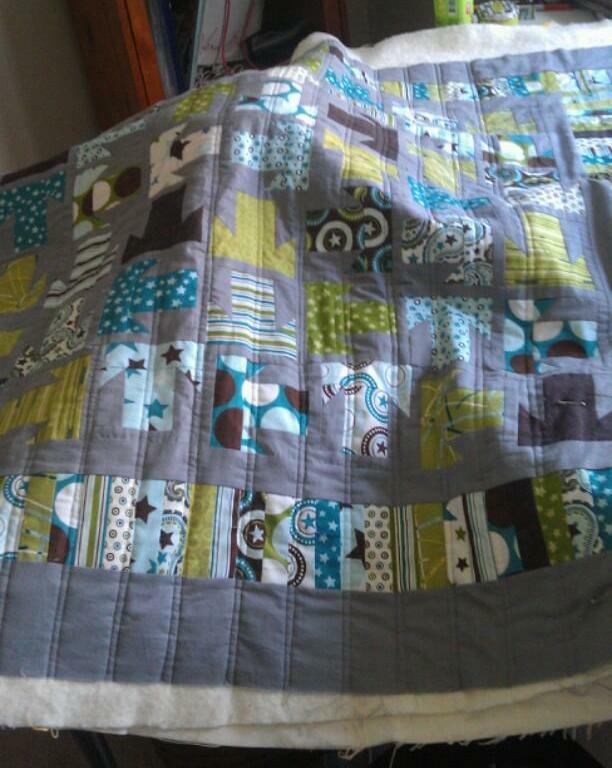 My daughter also worked on her own version of Bibelot..
She is quilting it herself! It's the first quilt she has quilted herself. I'm thinking she is doing pretty darn good! 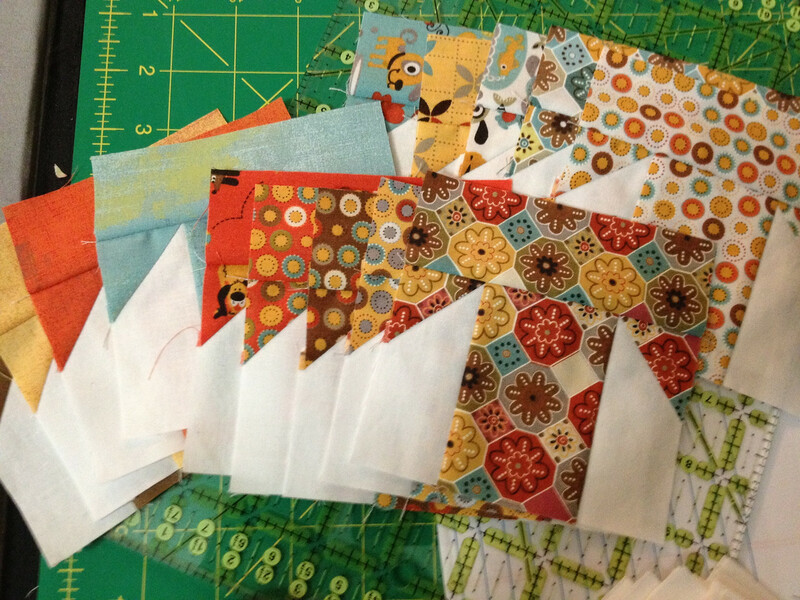 I have a few more quilts ready to share but I'll leave those for the next time. 2 comments on "Playing Catchup.."
I'm a big girl quilter now! It's great to hear you're doing well and sewing! Hey, that quilt pattern is "T Stand for Thelma", didn't you get the memo! I love both versions. I worked with that Max and Whiskers fabric last year and think it's a very cute line. 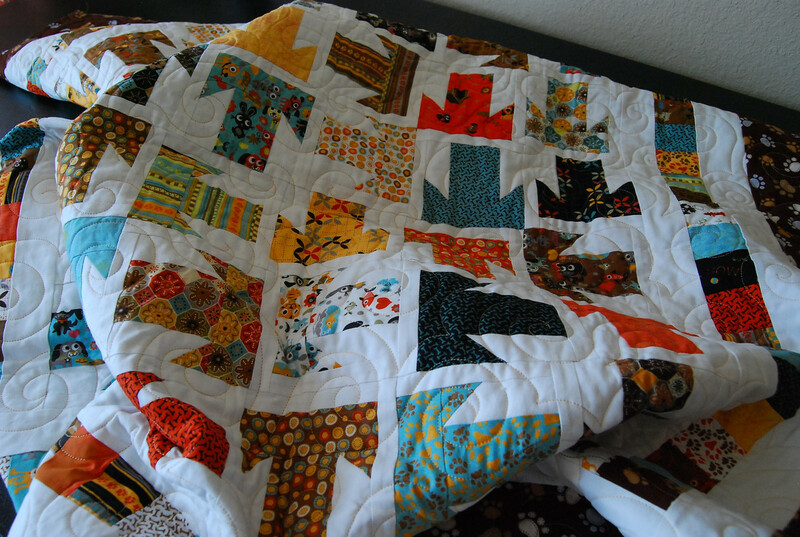 I'm so jealous your daughter likes to quilt, I would love to go to retreats and classes with mine.